I love to watch the speed bags. There is just something about the timing, the power, the hand eye movement that makes we want to box. 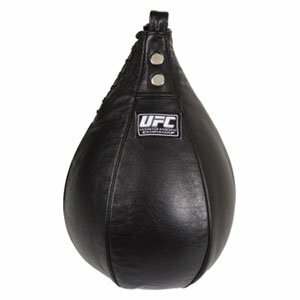 These Bags remain somewhat controversial because people assume that it has no place in traditional boxing much less mixed martial arts. Such an assessment is not an accurate one because it is based on the notion that the actual motions of the bag do not translate literally into actual punching motions. Part of the reason for this is that the modern version of the bag is a great departure from the ones that first debuted in the earlier part of the 20th century. In its original form, the bag had a much larger platform and a longer chain to hold it. Today's chains may be about three inches in length whereas classic models were upwards of 18 inches. Such a significant difference changed the purpose of training with a speed bag. Specifically, the classic model was designed for integrating slips into training. The classic bag has now split into two different training devices, the modern bag and the double end bag (By modern, we mean the 1950s and onward). The bag we use today still has its value and the value will center on its ability to develop certain training attributes. 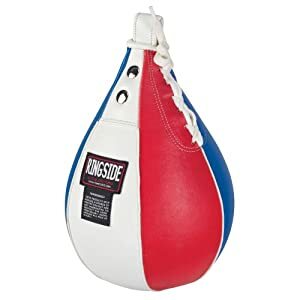 One of the main benefits of the bag you will commonly find in a boxing, kickboxing, or the MMA gym is the bag's ability to develop proper hand - eye coordination. 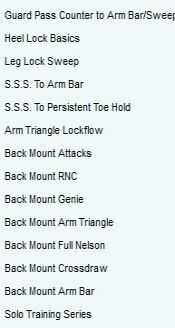 You have to be able to hit the bag when you see it enter into the range needed to hit it. Releasing a punch too soon or too late will jar the proper rhythm of the bag. Through the development of effective hand - eye coordination, you can easily move such skills to other more functional aspects of striking. A close cousin to hand - eye coordination is timing. Without proper timing, you probably will not be all that effective of a striker. The repetitive nature of hitting the bag aids in developing an almost unconscious performance of proper timing. 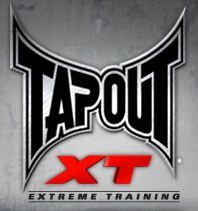 This is most definitely a helpful attribute to possess and one that will translate into sparring session performance. One of the lesser known components to using a speed bag is the ability to keep your hands up. How many times have you heard a coach say that? Boy I keep my hands up now, as I got my nose broken from not having my hands up. If you have your hands too low, you are not going to be able to effectively hit the bag. You only have a limited opportunity for your punch to hit the bag because - as the name implies - the bag moves extremely fast. If your hands are not in the proper position, you cannot work the speed bag. So, consider the reminder to keep your hands in proper position to be a huge positive to using the bag. Oh and it will help you keep your face looking nice! Is the Bag Good for Sparring? What about the criticism that the speed bag does not literally translate to sparring? Well, people are entitled to their opinions. However, based on the presence of the bag in the workouts of top professional boxers, outright dismissing the speed bad would not be wise. 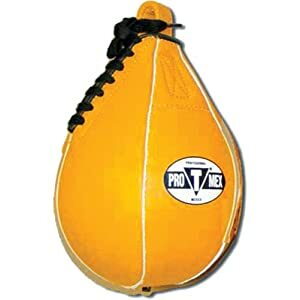 There is the close cousin of the speed bag known as the double end bag. 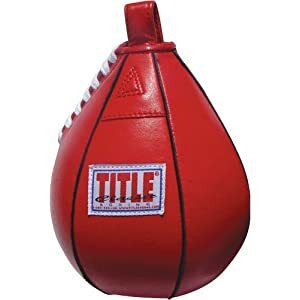 This bag functions somewhat similar to the speed bag with the main difference being it "returns to sender" in a manner than simulates a counter punch. To avoid getting hit, one needs to slip out of the way or counterpunch. It is also possible to circle the double end bag in a 360 degree fashion which further adds to the attribute development the bag offers. Simply put, a double end bag is a must for another even remotely serious about developing their punching power. Then again, once you develop solid skills with the double end bag, it may be possible to train elbows and other tools as well. What are the best Bags? When it comes time to purchase a bag, you will need to purchase one produced by an established manufacturer of the bag. This should not be all that tough since there are very companies that make the bag and virtually all of them have been in the fight game for decades. 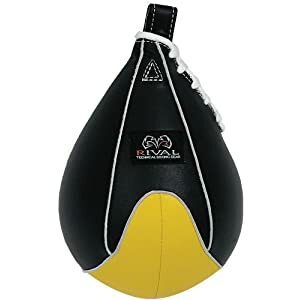 Probably the most popular speed bag would be the one produced by Everlast since it is the one people see in the retail shops. 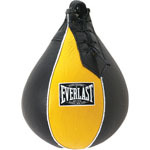 Everlast's bag is an excellent one and inexpensive as well. So, you can't go wrong buying Everlast. 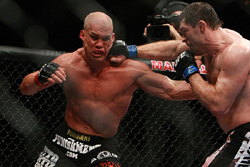 UFC is a solid brand and all their products are very popular. They are solid and made well. Revgear also has a speed bag and double end bag. They base their products on being higher quality than the rest. There products are well made and solid. Really, as long as the company is a known name in boxing or martial arts, it should make a fine bag purchase. TigerClaw is a lesser known brand in MMA, but very popular in other circles. Thomas Oh started the company with the idea to continue changing products with the times. 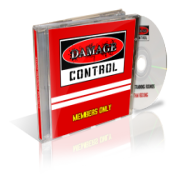 Their products are great for those on a budget. 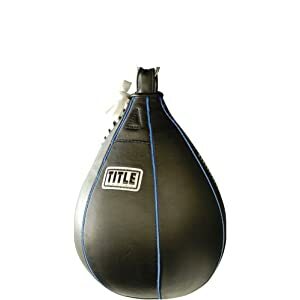 You'll not be disappointed with their speed bag. KWON spells quality. Their bags are made with an imitation rubber and come with a bungee. Working on the speed bag is going to get you fast. You also need to be strong and quick. Shamrock Strength and Conditioning coaches have a training program that builds strength and MMA skills.